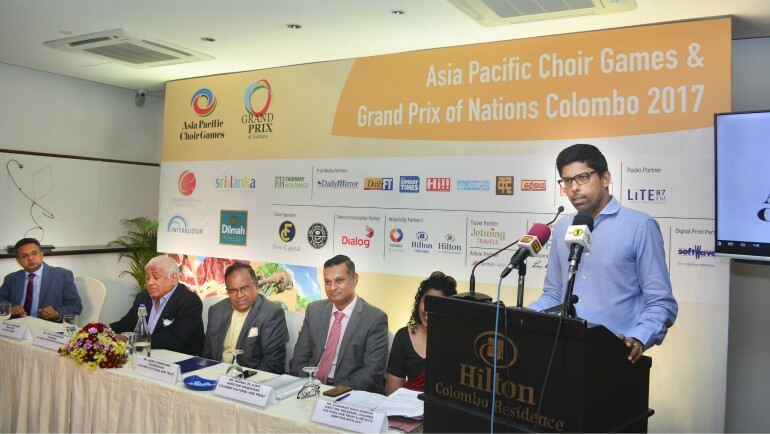 Colombo, 04th October 2017 – The Asia Pacific Choir Games and Grand Prix of Nations is preparing to take over Colombo from Saturday, 21st October to Saturday, 28th October 2017 with over 3,500 international and local participants. The weeklong festival of choral competitions, friendship concerts and gala celebration concerts will be the harbinger of good tidings for the future of musical education and cultural tourism into Sri Lanka. The spectacular festival is being hosted by The Colombo Cultural Hub Trust in collaboration with the Sri Lanka Tourism Promotion Bureau, INTERKULTUR and Sri Lanka’s leading global tea brand – Dilmah. This year’s festival will feature three competitions, each of which will have 10 categories for participants to compete under. Choirs from all over the Asia Pacific region, regardless of their present level of achievement, will have the opportunity to participate in the Open Competition. Choirs with international competitive experience will participate in the Asia Pacific Champions Competition and choirs that have competitive experience in international choral competitions, will compete against each other at the Grand Prix of Nations. All competitions will take place at the Nelum Pokuna Theatre and the Lionel Wendt Theatre from 9.00am-9.00pm and are open free of charge to the public. However two special celebration concerts featuring international choirs will take place on the 22nd & 26th October 2017 at Temple Trees and Nelum Pokuna respectively. Tickets for these two events will be available on ticketslk.com from the 10th of October. There will be an exciting street parade featuring all participating choirs on the evening of Wednesday, 25th October, starting from Nelum Pokuna going around the Viharamahadevi Park, back to a fun filled carnival atmosphere to end the celebrations at Nelum Pokuna premises. The general public is invited to view this multi-cultural costume parade. Friendship Concerts will take place at the ‘Fairway Center Stage’ at the Nelum Pokuna premises daily at 5.00pm, and also at St. Mary’s Church, Bambalapitiya featuring sacred music on the 23rd & 26th of October. Participating choirs will share the musical traditions of their native lands at these events, which are open to the public free of charge. Closed door workshops will be conducted by the international jury at the Indian Cultural Centre on select days. Limited tickets will be available for the opening ceremony which will feature the best of Sri Lankan talent including Ravibandu Vidyapathi, the Symphony Orchestra of Sri Lanka, Juilliard trained soprano Tharanga Goonetilleke and Soul Sounds. 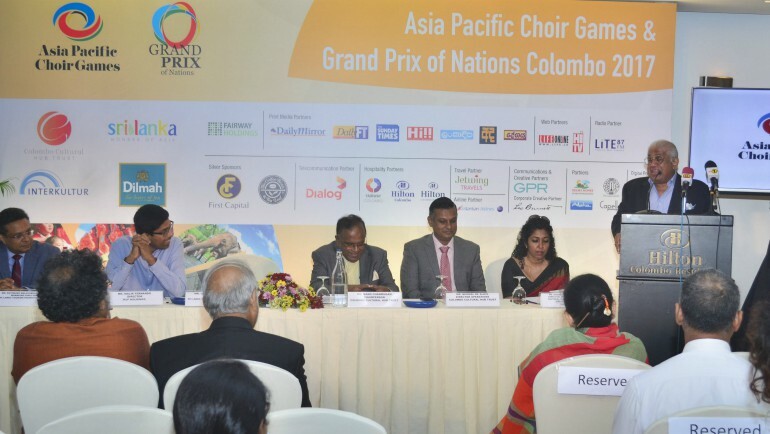 The events of the Asia Pacific Choir Games are jointly sponsored by Fairway Holdings, silver sponsors First Capital, People’s Leasing and Finance PLC, People’s Bank, Coffee Bean & Tea Leaf, telecommunication partner Dialog, hospitality partners Hilton Colombo, Hilton Colombo Residences & Fairway Colombo, travel partner Jetwing Travels, airline partner SriLankan Airlines, digital print partner Softwave, print and web media partners Wijeya Group, radio partner Lite 87 and general event partners Kelsey Homes, Alpha, Capello Salons and Indian Cultural Centre.